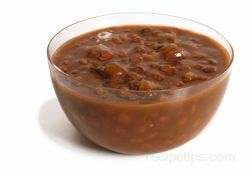 Similar to a bean soup, the Lentil Soup is made from whole or split lentils in a savory but soupy sauce. 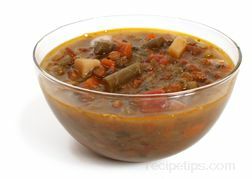 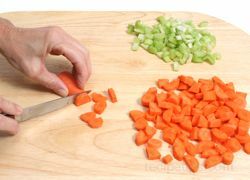 Often made similar to Italian Lentil Soups, many recipes will combine the lentils with celery, tomatoes, spinach, onions, garlic, and seasonings to make the soup. 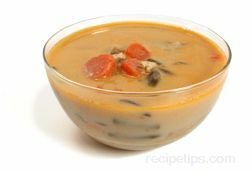 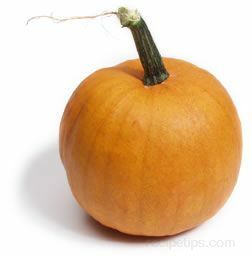 The broth will typically be made with the water and various additives to create a thick and rich flavored soup. 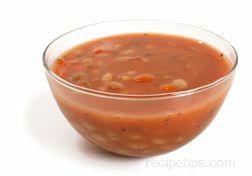 Sliced sausage is also a common ingredient that is ocassionally added to enhance the flavors of this type of soup.